Precision Spine Center utilizes advanced surgical technology at Castle Rock Adventist Hospital for better surgical ergonomics, and consumes less surgical time, all factors that may lead to better outcomes.. This technology is an innovative solution of advanced imaging, informatics, surgical planning, navigation, and robotic visualization with a digital microscope for spine and brain surgery. This surgical technology is used under neurosurgeon, Dr. William Choi. He serves as the Medical Director of the Spine Program at Castle Rock Adventist Hospital. 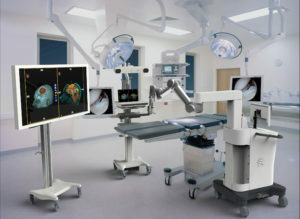 The system allows surgeons to operate with a state-of-the-art, fully integrated solution for their expanding practice while avoiding the ergonomic challenges that come with traditional microscopes. The technology provides advancements in visualization tools to perform minimally-invasive, patient-specific approaches for both spinal and cranial procedures. 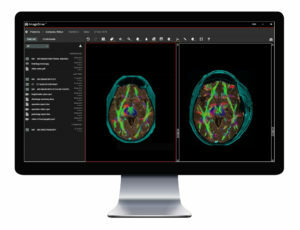 For cranial procedures, using an imaging method called diffusion tensor imaging, the technology automatically processes whole brain tractography for surgical planning of every possible approach. This functionality allows surgeons to see details that can’t be seen with the naked eye and may allow access to locations previously deemed inoperable. 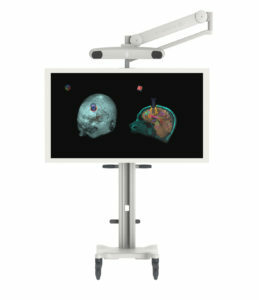 The surgical plan is integrated into the navigation system that allows them to see a patient’s brain tracts in real time. 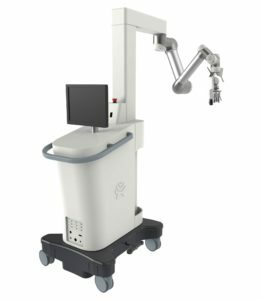 For both cranial and spine procedures, surgeons also use the fully automated digital microscope, a high-powered magnification system mounted on a robotic arm that automatically follows the surgeon’s tools. This replaces the need to manipulate cumbersome optics with a view the entire operating room can see. The technology allows for better surgical ergonomics, facilitates collaboration with operating room staff, and consumes less surgical time, all factors that may lead to better outcomes.